Around 10 years into Letizia Silvestri’s career in luxury automotive, she recognized a void in the luxury automotive community: a car show for the collectors. 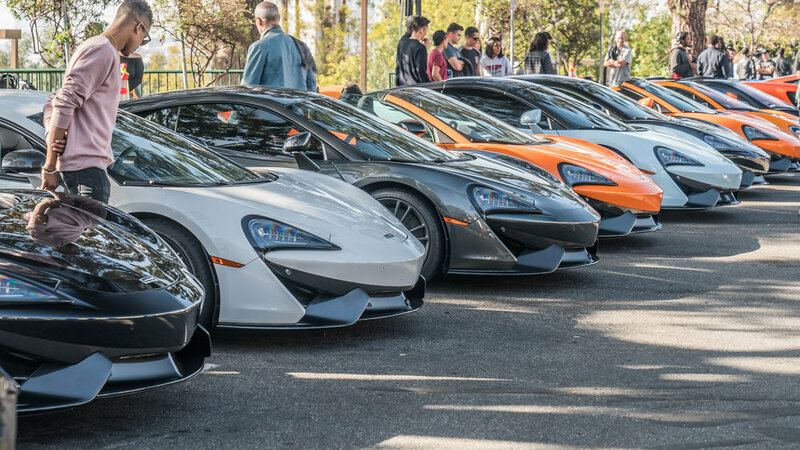 There are events in Los Angeles such as the Greystone Mansion Concours d’Elegance and the Rodeo Drive Concours D’Elegance but entry may be limited or they only occur on an annual basis. 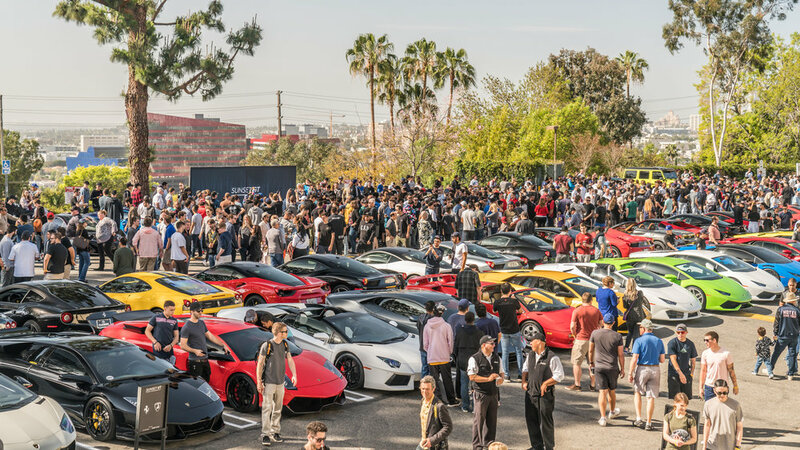 No one show was able to give a welcoming and relaxed environment for owners and enthusiasts to mingle, and as one can imagine, the car scene in Southern California, the golden state, is booming. Eventually it begins to shrink, especially when cars become collectable and even priceless. This is the community that needed catered to, and Silvestri had just the plan. Originally launched in her time at Ferrari, was a monthly gathering called Piazza GranTurismo in Westlake. This show created a community for the niche collector looking to meet likeminded people. That then transpired and grew beyond a single brand, and is now known as Sunset GranTurismo. Silvestri’s event experience combined with colleague Giulia Acampora’s history of rebranding companies to give them a fresh and current feel is what became the wildly popular Sunset GT. The show started off entirely operated by the O’Gara company as an in-house production, and eventually grew so large that it required registration to prepare for the vehicles, owners, and spectators, the help of professional team Chucks Parking to direct owners to their show parking destination, and AQUA Hydrate as a water sponsor to keep event attendees hydrated. At Sunset GT, enthusiasts and owners alike are brought together over a variety of cars that otherwise most likely be viewed in museum setting, and hosted by an impeccable organization. What many don’t realize is what it takes to keep a such a large scale show running smoothly. Each month attendance ranged from 600-1000 spectators, and a team of security was hired to monitor guests’ interactions around vehicles, police were present to enforce drivers to not speed and drive erratically, and of course proper event branding. Each month, Red Carpet Systems would load in the feature wall and carpeting, while the O’Gara team set up a check in area. This is where guests could retrieve their annual credentials, VIP parking placard, grad a cup of coffee in a #SunsetGT branded cup, as well as enjoy pastries from Obica on branded napkins. Each section throughout the show also had #SunsetGT branded directional signage to ensure clients had an easy experience. And none of that has to do with the keeping the interest of the crowds each and every month. 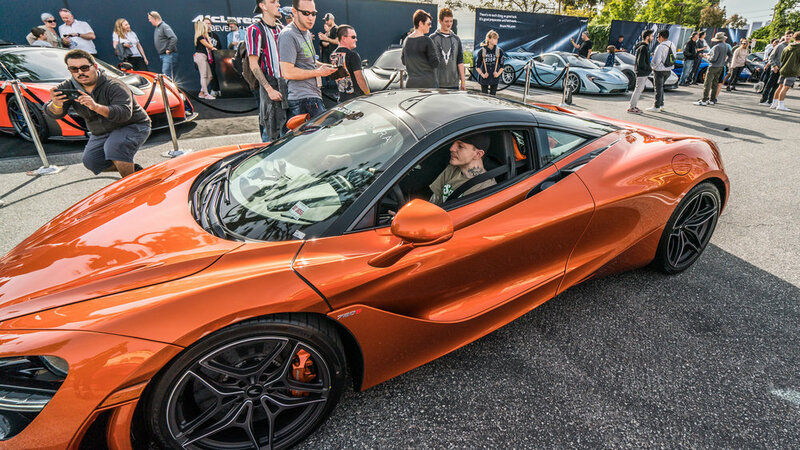 This was when the show started taking on a theme, for example “Performante Pandemonium” after the Lamborghini Huracan Performante started being delivered, or “The Anniversary Edition” where Silvestri along with the help of some of North America’s biggest collectors and support from Bugatti corporate, gathered 9 Bugatti at one show, including the infamous 1 of 1 Bugatti Vision GranTurismo. At other events, spectators have had the opportunity to view Maserati MC12’s one of which being the only black one in the world, as well as a many McLaren P1GTR’s, the Aston Martin One-77 and track only Vulcan, Pagani Huayra and Huayra BC, the record breaking fastest production vehicle, Koenigsegg Agera RS. The displays had become so impressive that celebrities like Jamie Fox, Jesse Metcalfe, and McLaren owners Tyler the Creator and DeadMou5 wanted to take part in the monthly gathering. While some months even gave the crowd the chance to give back to the community. For the December show, Silvestri had brought in Fred Durst to spin Holiday songs, and guests were encouraged to donate a toy to The House of Ruth. 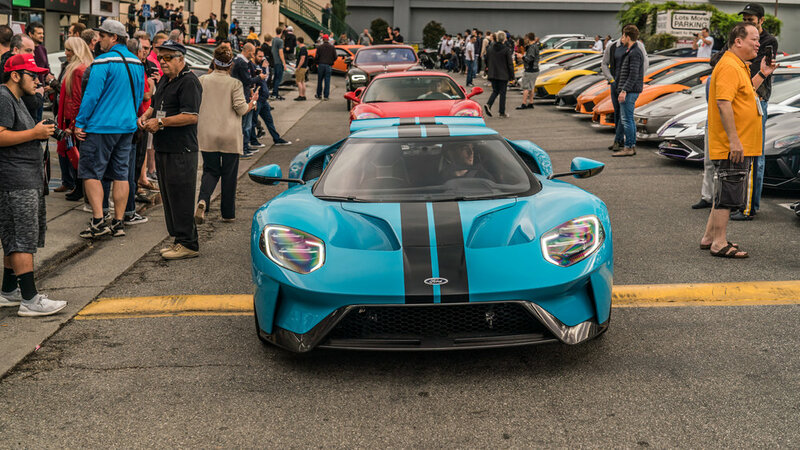 This monthly gathering may be accessible to the public, but depending on the month Silvestri would plan an exclusive client drive through the canyons of Malibu to follow (read HERE), or even the annual Sunset GT Rally to Monterey Car Week (read HERE). No matter the event, there is always a way to show clients the O’Gara Coach lifestyle. Photo source: Sunset GranTurismo Website.